An understanding of currency options is essential for those working in investment and foreign exchange. 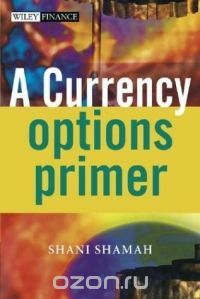 A Currency Options Primer sets out to give readers a clear guide to how the currency option market functions, offering practical advice on mastering the necessary components and concepts for fully understanding the workings of this market.Download Description In recent years, currencies of major industrial nations have fluctuated widely in response to trade imbalances, interest rates, commodity prices, and political uncertainty. The pressure to maintain currency parity has led to the breakdown of many exchange rate mechanisms, and has forced the need for active foreign exchangehedging decisions to prevent the erosion of profit margins. To counteract this worldwide market volatility, currency options were developed as an alternative risk management tool to the spot and forward foreign exchange market, and owe their existence to the demands of foreign exchange users for alternative hedging and exposure management techniques. This essentially practical book gives a thorough and comprehensive guide to currency options, with clear explanations of the technicalities. It should become recommended reading for many business courses, and will be of interest to new recruits and junior members in investment and merchant banks. to Forex specialist firms. to Treasury institutions. and to investors who require a quick guide within a trading and sales environment.